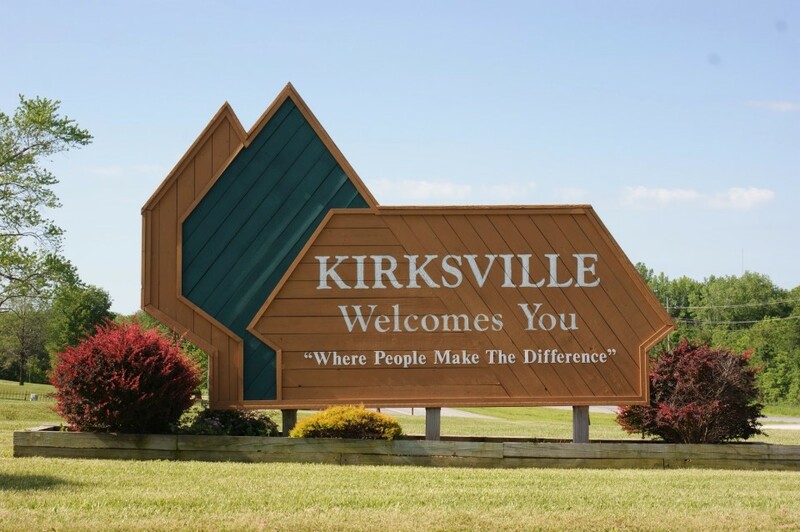 With a 6,000-foot hard surface runway, Kirksville Regional Airport (IRK) is a FAA Part 139 airport servicing commercial and private aircrafts. Cape Air provides three daily flights to and from St. Louis Lambert International Airport. Purchase tickets at www.capeair.com. For information regarding non-commercial service, call 660-665-5020 or visit www.kirksvillecity.com/airport. Take I-70-West. Exit to 63-North in Columbia, and continue on 63-North to Kirksville. (Approximately a 3.5-hour drive from St. Louis-Lambert Airport.) Alternatively, another route is to exit I-70/40 to 61-North to arrive Kirksville via Hannibal. From Hannibal, take 36-West to Macon and exit to 63-North to Kirksville. This map shows the City of Kirksville with constructed trails highlighted in blue and city parks highlighted in green. There are four trails throughout the park, ranging from .20 to 10.5 miles in length. The longest, Thousand Hills Trail, connects to Rainbow Basin Trail Road / County Road 226 and Highway H on the southwest side of Kirksville. FLATS is a volunteer organization constructing bike and walking trails between Kirksville and Thousand Hills State Park. The FLATS website also has useful information on the development of trails in Adair County. area maps, and convenient transportation options.